What Are the Advantages of Smile Direct Club? What Are the Downsides of Using Smile Direct Club? Smile Direct Club, a teledentistry service, creates invisible braces—a very affordable alternative to traditional metal braces. While invisible braces are popular for straightening teeth, there are a number of health risks involved with at-home dentistry procedures. Smile Direct Club may only be a good option if you require uncomplicated, limited treatment. Invisible braces and retainers have become incredibly popular in recent years—and it is easy to see why. Touted as effective in straightening crooked teeth with just a fraction of the visual impact of conventional braces, they provide a speedy and subtle solution for a beautiful smile. Many celebrities and social media influencers have voiced their support of Invisalign, Smile Direct Club, and other types of invisible braces. Indeed, thousands of people around the world claim to have seen great results from using them. In the past, the only way to obtain invisible aligners was through an orthodontist, who would ensure the new aligners were a perfect fit for each individual, provided critical dental health checks and ongoing customer care—over the entire course of the treatment period. However, in recent years, a number of companies have sprung up that send invisible aligners directly to the home, without the intervention of an orthodontist. One of the most popular companies is Smile Direct Club. 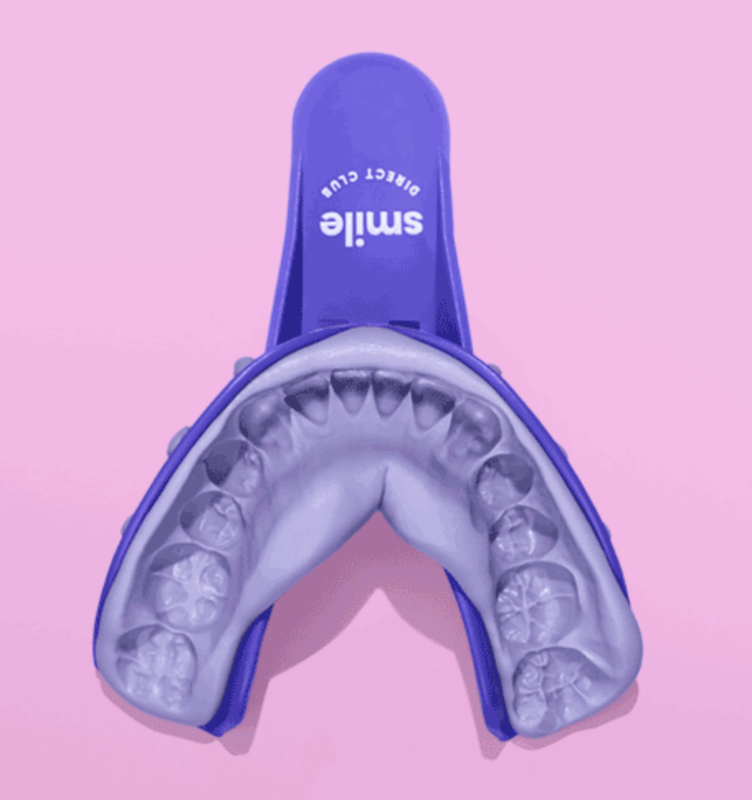 An impression of your teeth is made either by using Smile Direct Club’s at-home impression kit or by having a 3D scan of your teeth made at one of the company’s brick and mortar SmileShop locations. A dental professional at Smile Direct Club analyzes the 3D image to create a customized treatment plan. The company sends a set of invisible aligners that will gradually move the upper and lower teeth into correct position. Individuals with overcrowding or teeth that are slightly oversized also receive stripping papers, which are used to reduce the size of specific teeth and create more space for alignment. The aligners are worn for the prescribed duration. Once the treatment is complete, a set of retainers is purchased to maintain the final results. How long a retainer is worn varies and is determined by the dental professional. Depending on the company’s analysis, note that some individuals may be informed they are not appropriate candidates for invisible aligners. The first step to straightening your teeth with Smile Direct Club is purchasing the impression kit. According to Dr. Adam S. Harwood, an endodontist located in Greenwich Village, New York, the key benefits of using Smile Direct Club revolve around convenience and affordability. Unlike traditional braces—requiring many visits to the orthodontist over a number of years—mail-in aligners allow you to realign your teeth directly from the comfort of your own home. With little more than the click of a button and a handy impression kit, you can be well on your way to achieving straighter teeth and that new smile you’ve always dreamed of. Clear aligners can help you achieve results in a fraction of the time of traditional braces. Metal braces typically need to be worn for about 24 months on average to straighten teeth, but—according to the Smile Direct Club website—mail-in aligners can usually correct teeth in just six months. This makes Smile Direct Club an especially attractive option for those who may feel self-conscious about wearing braces for years on end. Cost may not be the be-all or end-all when it comes to dental treatment, but nevertheless, price is likely going to factor heavily into your decision. Smile Direct Club excels in this department and claims to cost about 60% less than traditional treatment methods. A big plus is that they also offer a payment plan, so a set of aligners will not put too much strain on your bank account. Although the aforementioned advantages may seem very appealing, it is worth keeping in mind that there are some significant negatives associated with using mail-in aligners to straighten teeth. 1. They’re not effective in treating some conditions. Invisible aligners rely on using clear plastic to gently straighten teeth. The absence of metal brackets, wires, and rubber bands (as found in traditional braces), means they simply aren’t very effective at treating some conditions. 2. Underlying dental health issues may go undiagnosed. Using mail-in aligners to straighten teeth creates a risk as it eliminates the opportunity for a dental professional to identify possible health issues before you undergo the treatment plan and during follow-up visits. 3. A customer service helpline cannot replace a licensed dental professional. In the event that something goes wrong with your treatment or orthodontic device, you need to be confident that you will have access to a dental expert who understands the issue. Although Smile Direct Club offers a 1-800 customer support line, it is possible that the person handling the call will not be able to analyze your problem or provide expert customer care in the same way as a licensed dental professional in a traditional clinic. As noted, one of the main benefits of the Club is the affordability of their aligners. They cost just $1,850, or you may choose to make 24 monthly payments of $80 with a $250 down payment. This works out to a total cost of $2,170. To maintain your new smile, retainers can be purchased for $99 a set. To further minimize costs, there are no preliminary dental exams or ongoing checkups. To put this in context, a set of metal braces can cost anywhere from $3,000 to $7,000, depending on the level of correction required. And a set of invisible aligners from an orthodontist would usually cost between $3,000 and $6,000. With these figures in mind, Smile Direct Club’s claim of 60% of savings on invisible aligners is spot on. Keep in mind that should something go wrong with your new aligners that the remote support team cannot resolve, you may need to invest in additional treatment. “By the time you’re done with them, those cheap and convenient aligners may end up costing you much more, after professional work is required to correct a faulty impression or some other dental issue,” says Dr. Harwood. Invisible aligners—whether they are obtained via mail-in or at an orthodontist—are best suited to adults and teens whose teeth have more or less stopped moving. Children’s teeth are still in the process of growing and are much more complicated to straighten. Consequently, the vast majority of doctors will recommend traditional metal braces for young mouths. However, this does not mean that Smile Direct Club will be effective for all adults. As touched on earlier, invisible aligners have their limitations and are not effective at dealing with certain conditions. In general, they should be used by individuals who have only mild crowding or spacing issues. So if you’re an adult who requires minor adjustments, you may be a good candidate for Smile Direct Club. If you have more complex issues, you will probably need a more advanced treatment plan using traditional methods. Smile Direct Club is an innovative company that offers an interesting solution for people looking for an alternative way to straighten teeth. While their invisible aligners are much more cost-effective than traditional treatment methods, removing in-person visits with a licensed dental professional from the entire process naturally introduces some risks. If you are unsure whether invisible aligners are suited to your specific needs, be sure to consult your orthodontist before committing to Smile Direct Club.